We’ve attacked this Rowing WOD a few times this winter. Look back at your results and see if you’re ready to step it up another notch. This is a great opportunity to focus on a few tactical aspects of the 2k and get in some solid race pace work. Try to keep a consistent pace over all 8 or “negative split” toward the end if you’re feeling good. Negative splitting means you pull a faster split than you did the previous piece. As a quick review for novice rowers, race pace over 2,000m will be at a stroke rating of 28 − 32 strokes per minute and a consistent 500m split. The lower the split the better. Good things to focus on include breathing, getting the knees down, driving through the heels, quick hands, and being smooth. I also like to coach a smile or grin 10 just to take yourself out of your body for a second, have some fun, and then refocus with a fresh mindset. Focus on one positive thought for 10 consecutive strokes and you’ll be that much closer to your goal. Post your split for each piece and share what you focused on! 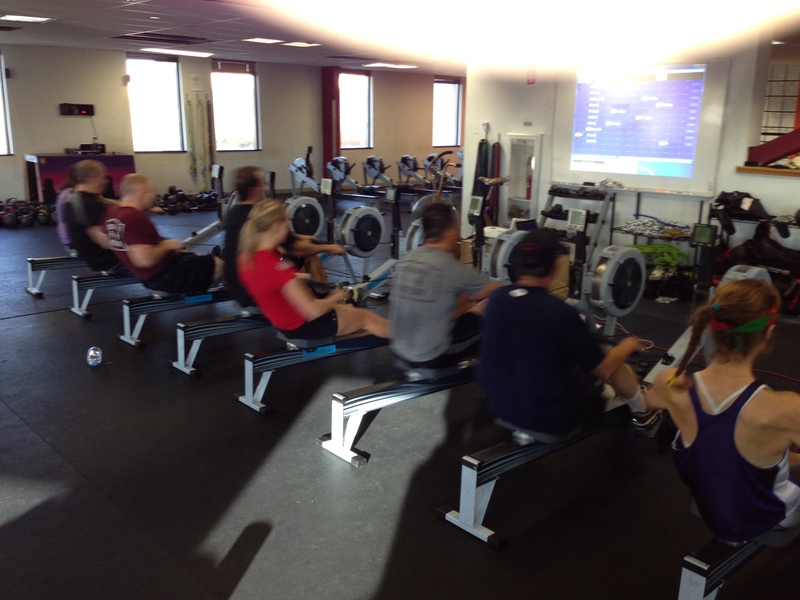 This entry was posted in Rowing and tagged endurance sports, functional movements, mental toughness, new sport, row 2k, rowing, sports, training by Renegade Rowing. Bookmark the permalink.